According to climatologist, polar explorer and politician Andres Tarand, the first weather instrumental observations in Estonia were carried out by a military physician Johann Jacob Lerche on the board of sailing ship in the roads of Vilsandi on 18th August, 1731. The oldest series of observations in Estonia were carried out by an officer Breckling from 1774 to 1777 and C. L. Carpov, professor of the Reval Cathedral School, between 1785 and 1800 in Tallinn. The observations lasting more than a half-century (1835-1885), carried out by Karl Calk from Paldiski, are rare also outside the borders of Estonia. His observation book is preserved in the Estonian Meteorological and Hydrological Fund (EMHF). Marine officer at the port of Tallinn, Ivanov, observed the weather and sea level between 1805 and 1813. The first instrumental observations in Tartu started in 1813 and can be associated with the name of Georg Friedrich Parrot, who was the rector of Tartu University. Good meteorological observations were also carried out by famous astronomer Johann Heinrich Mädler (1794-1874). Already during the first half of the 19th century meteorological science was noticeably represented at Tartu University. However, thanks to the foundation of the Tartu Meteorological Observatory on 2nd December 1865 by a professor Arthur Joachim von Oettingen, meteorology began to develope as an independent scientific path in the University. A. J. Oettingen started also meteorological observations which are continuing even today. 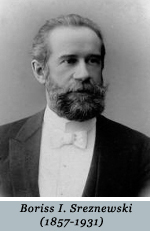 He founded the network of meteorological observations in the Baltic States. In 1918 a famous German meteorologist Alfred Wegener was in Tartu during the two months and carried out seminars and trainings at Tartu University. 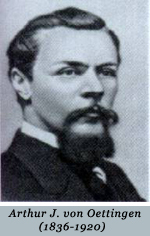 His activity stimulated Letzmann`s interest in tornadoes. J. P. Letzmann worked at Tartu University up to 1939 and today his works on tornadoes are well known to the international scientific community. Weather forecast in Estonia started in Tartu in the beginning of 20th century mainly under the leadership of B. I. Sreznewsky while he was the Director of Meteorological Observatory at Tartu University. After the Second World War Tallinn became the weather forecast centre. 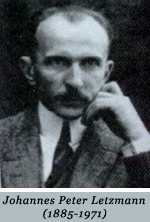 After the forming of the Estonian national university the first professor of meteorology and geophysics was Karl-August Frisch, later his name was changed as Kaarel Kirde (1892-1953). K. Kirde organized the meteorological and agrometeorological network in Estonian Republic. In the period 1920-1940, geophysical scientific research at the Meteorological Observatory of Tartu University was confined to meteorology and climatology, which, to a certain degree, also concerned hydrological questions and seismology. At this point it is worth mentioning, for example, a famous seismograph J. Wilip. On initiative of K. Kirde the weather telegrams exchange with other countries begun, firstly by using a telegraph and since 1919 a radio. By the Soviet occupation in 1940 the hydrometeorological service was reorganized. The Administration of the Hydrometeorological Service of the Estonian SSR was formed in 1941 which administrated the observation network, hydrometeorological stations and observation posts. During the Second World War the Hydrometeorological service was subordinated by Hamburg Hydrometeorological Observatory. Part of the stations continued the working but the observational data was not published. While the weather forecast engaged German military forces, the civil organizations were not serviced, forecasts were not spread through the press and radio any more. In the first post war years the administration of the Hydrometeorological Service of the Baltic Red Flag Fleet was occupied with weather forecasting. Only military forces were serviced up to 1944. 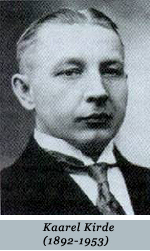 In 1946 the Forecast Branch of the Adminstration of the Hydrometeorological Service of the Estonian Soviet Republic was formed in Tallinn and Grigori Portnov was appointed as its head. In 1949 A. Smirnov was appointed as the head of the Service and one of its tasks was to serve meteorologically the state institutions and economical and social organizations. This task was carried out by the forecast department which was formed in 1946 and was named as Tallinn Weather Station in 1952. Since 1983 the service was named as the Forecast Branch of the Hydrometeorological Centre of the Soviet Estonia. Since 1967 until the re-independence of Estonia the head of the service was G. Portnov again. In 1956 the Tallinn Hydrometeorological Observatory was formed and as its Director was appointed meritorious meteorologist Elmar Maanvee who worked on this post until 1967. The observatory continued the work which began already in the Republic of Estonia and was carried out by the Adminstration of the Hydrometeorological Service of the Estonian Soviet Republic since it was formed. Several yearbooks, for example the monograph “Climate of Tallinn”, were published. In the Institute of Astrophysics and Atmospheric Physics of the Estonian Academy of Sciences outstanding research on theoretical and practical actinometry was carried out. Well known scientists like Helgi Arst, Olev Avaste, Agu Laisk, Heino Moldau, Ülo Mullamaa, Jüri Reemann, Heino Tooming, Ilmar Undla and others and presently, outstanding actinometrists like Sirje Keevallik, Olavi Kärner, Vello Ross, Viivi Russak, Madis Sulev, Uno Veismann and others are working there. In Tartu University well known atmospheric physicisist Helene Liidemaa, Heirich Aruksaar Herman Mürk ja Olev Avaste, geographer and climatologist Ants Raik and presently, atmospheric physicist Hannes Tammet, Rein Rõõm, Hanno Ohvril, Piia Post, climatologist Jaak Jaagus, Ain Kull, Rein Ahas and others are working. The Tartu Actinometric Station was founded in 1950. The head of the station was Juhan Ross (1925-2002), later academician. This station works now under the Estonian Meteorological and Hydrological Institute named as Tartu Meteorological Station and is included to the Baseline Surface Radiation Network (BSRN). The Estonian Agrometeorological Laboratory (EAML) worked between 1966 and 1991. On this base the Department of Meteorological Scientific Investigations of EMHI was formed which was working up to 2001. The studies of crops microclimate and mathematical modelling of crops yields had a wide recognition there. Heino Tooming published several monographs, some of his books have been translated from Russian into Japanese. The field microclimate observations and studies were carried out also in Kuusiku and Jõgeva Agrometeorological Stations. In 1978-1996 a research group supervised by Andres Tarand was working in the Tallinn Botanic Garden where the history of Estonian meteorology, Estonian urban climate and climatology of tornadoes in 19th century were studied. Estonian scientists participated in UNESCO Country Study Program under the leadership of Andres Tarand and Tiit Kallaste. In 1991 Estonia became is independent again. Meteorological and climatological studies profoundly are continuing in Tartu University and in Tartu Observatory. The weather service in Estonia and different meteorological and climatological investigations are carried out by Estonian Meteorological and Hydrological Institute (EMHI) which was formed in 1991. Peeter Karing was appointed as the first Director General of EMHI. 2001-2012 the Director General of EMHI was Jaan Saar and from 2012 Jalmar Mandel. Since 1992 the Republic of Estonia is a member of the World Meteorological Organization (WMO). Teaduse Ajaloo Lehekülgi Eestist VIII. Geofüüsikaliste uurimistööde ajaloost. Vastutav toimetaja H. Mürk. Meteorology in Estonia in Johannes Letzmann`s times and today. Edited by Heino Eelsalu and Heino Tooming, Estonian Academy Publishers, Tallinn, 1995, 192 pp. Estonian Academy Publishers. Tallinn, 1995, pp 192.